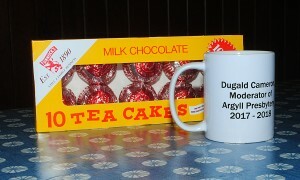 Argyll Presbytery » Rev Dugald Cameron installed as the new Moderator of Argyll Presbytery. 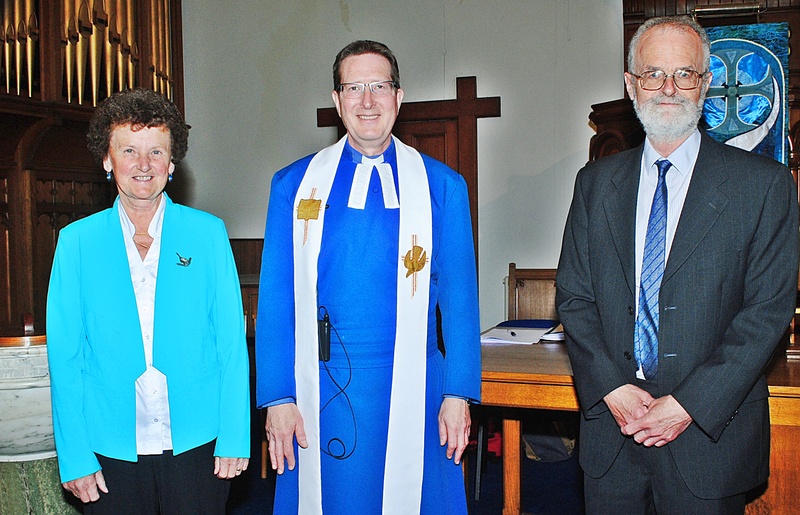 Rev Dugald Cameron installed as the new Moderator of Argyll Presbytery. At its meeting in Oban Parish Church on 6th June, Argyll Presbytery appointed Rev Dugald Cameron, Minister of Kilmore and Oban, as its Moderator for 2017-2018. 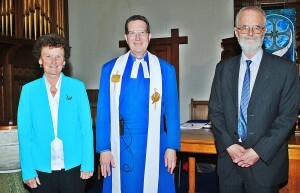 In the photo are (left to right) Ms Marilyn Shedden, the outgoing Moderator, Rev Dugald Cameron, and Dr Chris Brett, Presbytery Clerk. In welcoming Dugald as her successor, Marilyn revealed that they shared a love of Tunnock’s Teacakes, and presented him with appropriate gifts. The Presbytery meeting began with a Celebration of the Lords Supper, during which Mr Cameron preached from Acts 2:14-21, and spoke of the importance of letting the Holy Spirit lead us as we dream dreams for the future. Other topics discussed at the meeting included new ways for Parishes to work together and opportunities for Churches to provide Chaplaincy in the workplace. Rev Liz Gibson spoke of her ministry of encouraging care for creation, through welcoming guests from all over the world at the croft she and her husband Martyn run on the Isle of Mull.